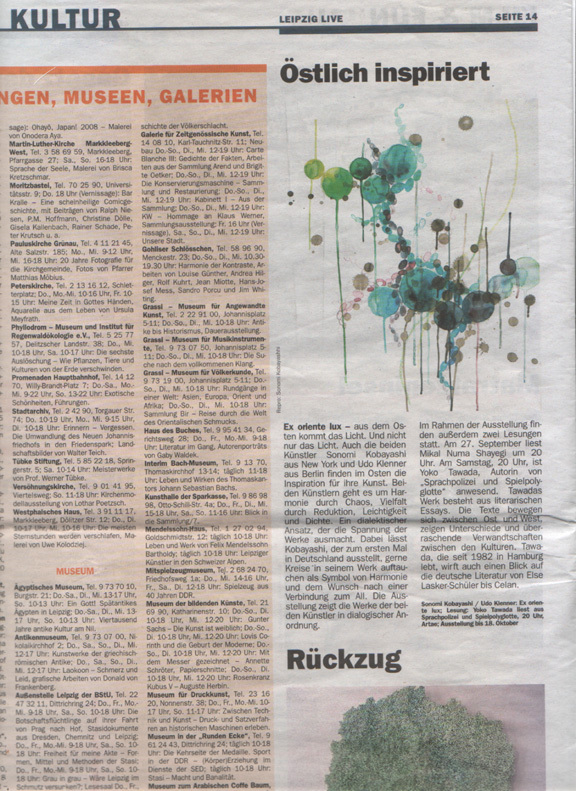 *Click the titles or Logos below to view each article. 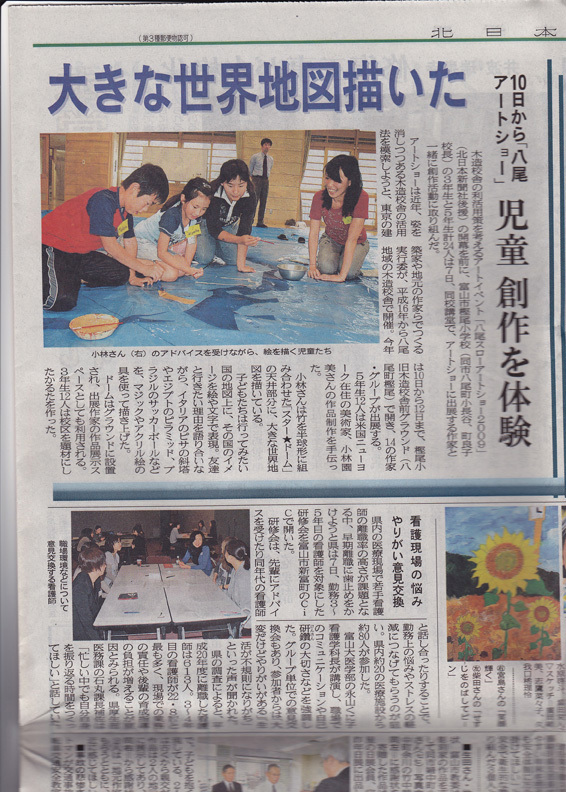 October 8, 2009, "Workshop with Ms. Kobayashi and students of Yatsuo Elementary School"
Friday, September 19, 2008 "Was, Wann, Wo? 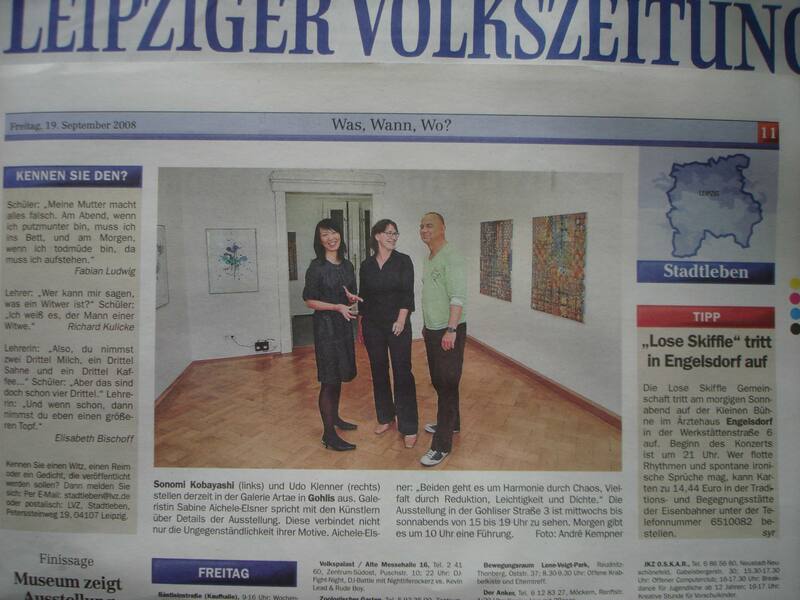 (What, when, where?)" 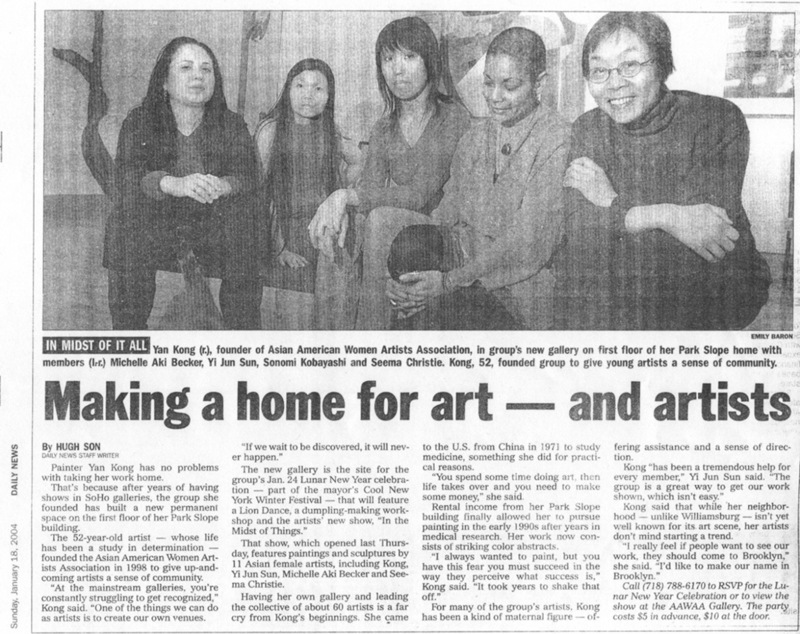 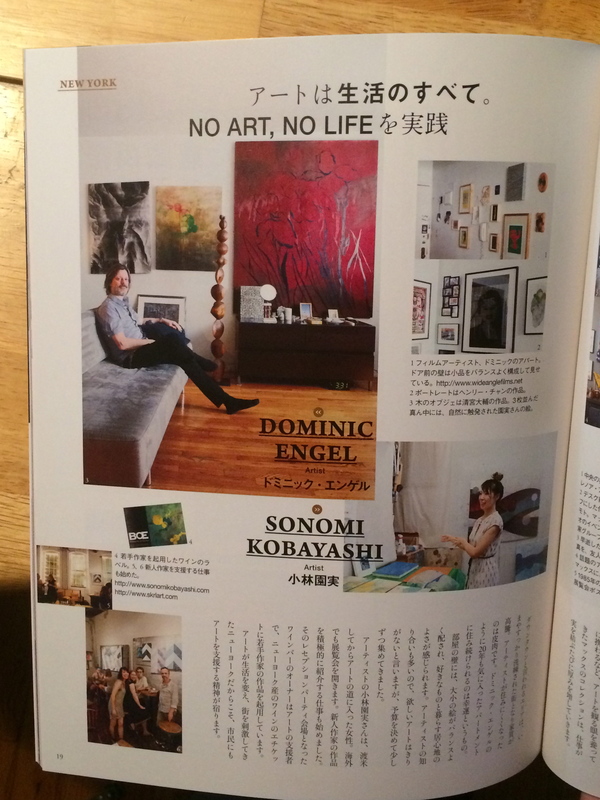 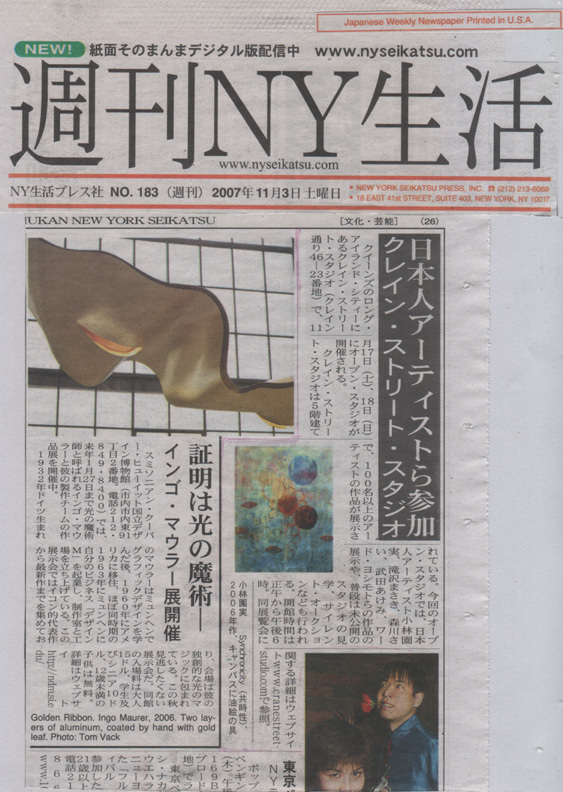 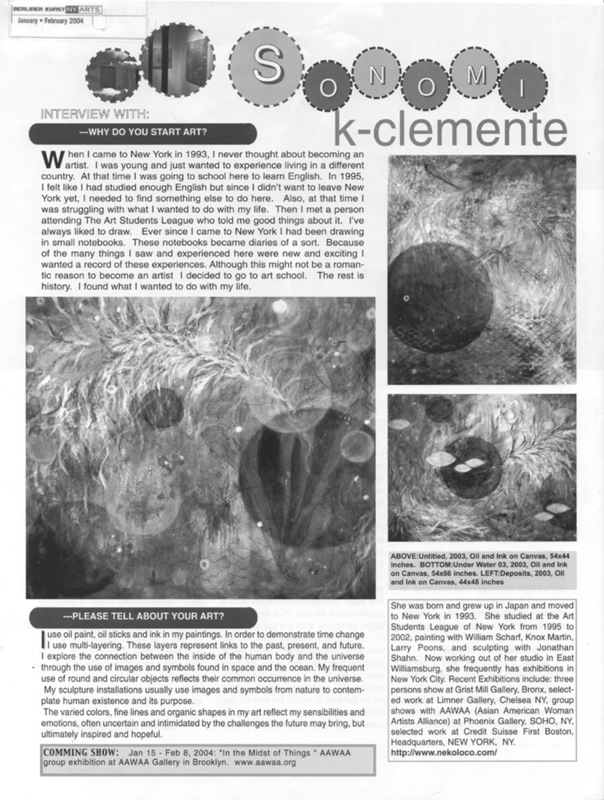 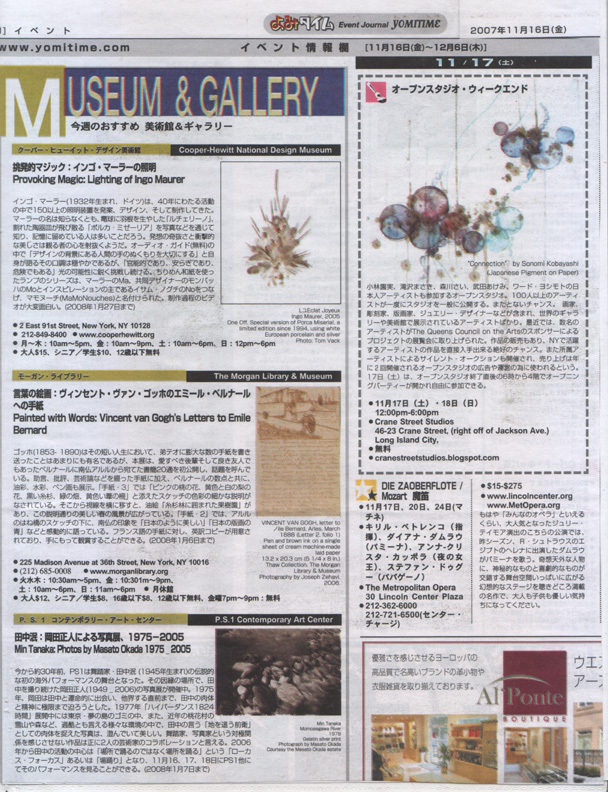 Vol.9, Jan 2004, Page 94, "Artist's project by Sonomi Kobayashi-Clemente"
Sunday, Jan 18, 2004, "IN MIDST OF IT ALL"